From Sept. 20 - Nov 02, take on terrifying haunted houses & roaming hordes. Unexpected terrors lurk around every corner, including hundreds of roaming creatures, new haunted houses and exciting live, interactive entertainment. 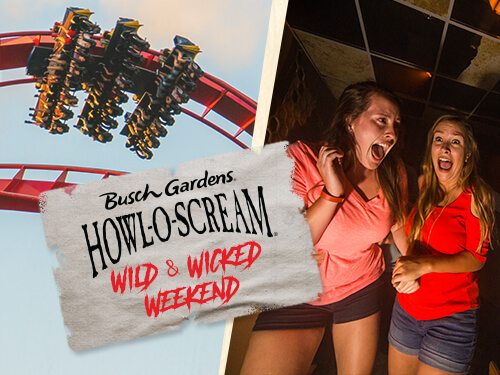 As if that wasn’t enough, Busch Gardens’ Howl-O-Scream is the only place to scream your way through Florida’s top thrill rides in the dark. "The ride, driver was perfect. Best I ever experienced!"